I recently caught up with one of our Saltmarshe Castle Residents- Moyra Bannister to see how her experience of living on a residential park home is turning out. Her husband and she have lived on the park for about 1.5 years now and say they couldn’t recommend it more to anyone looking at simplifying their life. 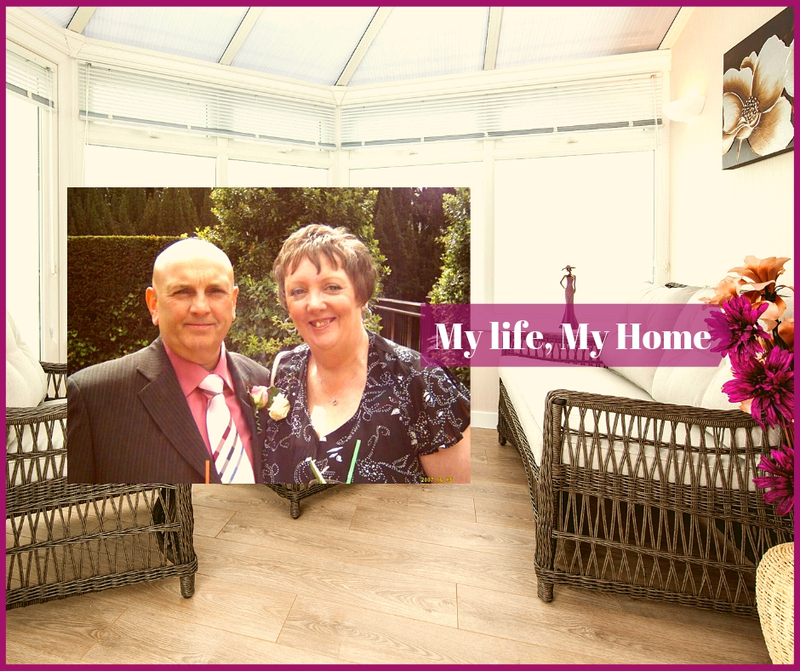 We went to see friends who had a park home in Hampshire and was awestruck by their home! I honestly thought that park homes were just ‘glorified caravans’ and wasn’t expecting to be so completely bowled over by their home. However, we were back on the park the next day and decided to book ourselves a home right-away! I chose Omar Regency as my home as I just love the beautiful layout of this home. Inside, large box bay windows to the lounge and dining area, add light and depth and with furniture included, a fully fitted kitchen with integrated appliances, a fitted bathroom, and beautiful interior design, this home really does have it all! The Regency is also available with a large, practical, integrated conservatory and as the conservatory is integrated there are no planning issues! The conservatory comes with stylish rattan furniture and central heating, so even on those cold winter nights, this stunning room can still be used. My husband and I were already thinking about taking early retirement. I used to work for the West Midlands Police as a RAD resource. I loved my job and really enjoyed it. We moved to the park on the 1st of August, our home needed some weeks to be ready. Since our home already got an offer we decided to not stop the sale. We stayed in a caravan for about 9 weeks while our plot, home, etc. was being readied and then finally on 1st November 2017 we moved into our shiny new home! Life on the park has been beyond what we expected. What made me move was the ease of looking after the home and how cozy and luxurious the homes were. However what has been so special and actually exceptional are the amazing friendships in the park that we have made. The little shop-café run by Joan is our hub of activity. We catch up with each other almost on a daily basis and it’s just lovely with all its cakes and nibbles. I have lovely neighbors and they are literally my lifeline in the park. There is a lot of work ongoing in the park and we know when the whole project is completed, the park will be one of the best Residential parks in the country. I can say that with confidence as we saw quite a few when we started our search of suitable Park Homes. Saltmarshe Castle Residential Park is located in a peaceful and breath-taking woodland setting, approximately 2.5 miles north of the town of Bromyard on the borders of Herefordshire and Worcestershire. It is situated with south facing views overlooking the Bromyard Downs and Malvern Hills. This park is situated in the endless grounds of Saltmarshe Castle, a former country house and estate first owned by the Higginson family and then through the generations to the Barnaby family in 1946. Although the Castle itself was demolished many years ago, in 1955, parts of the outer walls and turrets still remain, together with various outbuildings, stables, ice house, and cider wheel, making this park a unique place to live. The area is renowned for its scenic beauty and many ancient towns and cities, including Hereford, Worcester, Gloucester and Leominster, all accessible by the local bus services in Bromyard. Within the local surroundings of this gorgeous and historic park, you can find a wide range of farms, many of them selling locally grown fresh produce and ingredients, as well as some of the most amazing family restaurants with homemade food and handcraft gift shops.